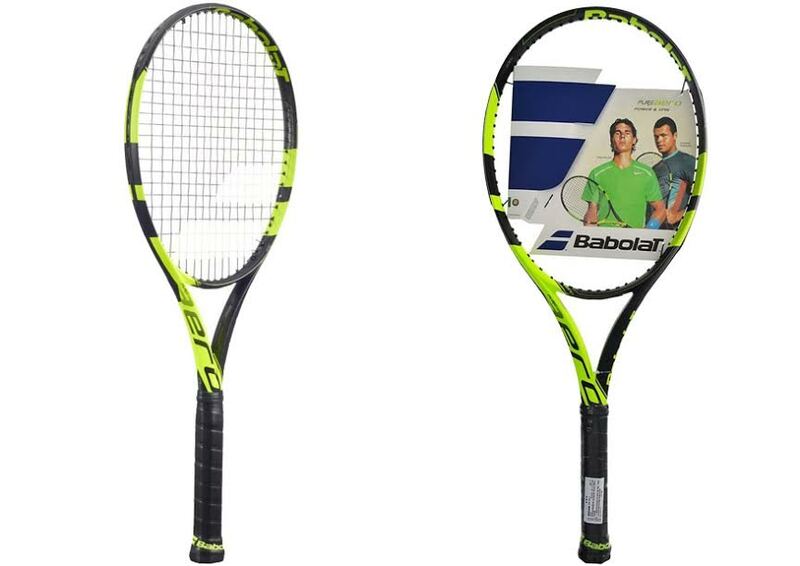 Not sure to choose Babolat AeroPro Drive or Babolat Pure Aero? Both are tennis racquets made by the same manufacturer. You can say that they are available in the same price range because the price difference between these two models is quite marginal and not very significant. Babolat Pure Aero is a tennis racquet that has been designed to focus much on power – designed to deliver the ball with the highest speed and force. On the other hand, Babolat AeroPro Drive is quite a famous model because it has been endorsed by Raphael Nadal. See the comparisons between these two models below. As mentioned above, Babolat Pure Aero has been designed to give you the utmost power in your every hit. It has a large sweet spot at the center, making it very forgiving. It has an explosive power and massive spin potential. The feel and response are also great. At the first time using Babolat Pure Aero, you will be pleasantly surprised. You will feel as if serving never felt better. However, controlling the spins can be fairly difficult. If you can control your top spins, it will be awesome. But it can be hard to hit nice angles and delicate shots. Due to the difficult control, it can give you a bad tennis elbow. If you prefer more control, you will love Babolat AeroPro Drive. It is not as powerful as Babolat Pure Aero, but still strong nonetheless. Babolat AeroPro Drive is an incredibly forgiving racquet that gives excellent control and maneuverability. It has a crisp and clean feel, and it is very easy to hit the ball with such depth and pace. The spin is great. If you have good control over your top spins and you want the most powerful racquet, Babolat Pure Aero is the way to go. If you prefer more control for nice angles and delicate shots, you should choose Babolat AeroPro Drive.